Not practicing on Wednesday due to injury was linebacker Olivier Vernon (high ankle sprain). Wide receiver Sterling Shepard (back), running back Wayne Gallman (knee), and linebacker Tae Davis (hamstring) were limited in practice. The Giants practice on Thursday and Friday in preparation for Sunday night’s away game against the Dallas Cowboys. The team’s coordinators will address the press on Thursday. 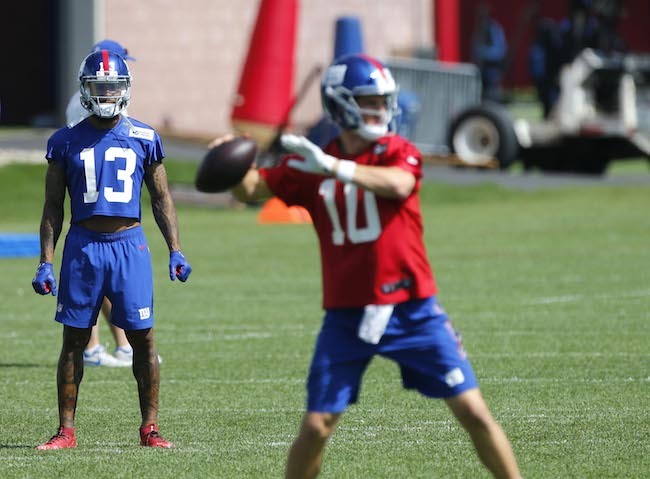 The New York Giants held their fourth full-team summer training camp practice on Sunday at Quest Diagnostics Training Center in East Rutherford, New Jersey. The complete training camp schedule is available at Giants.com. 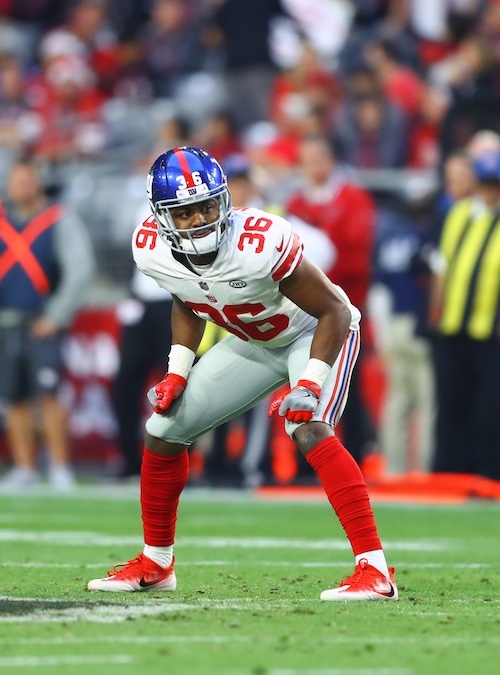 The New York Giants have placed cornerback Sam Beal (shoulder) on Injured Reserve, ending his season. Beal aggravated an existing shoulder issue during the first training camp practice on Monday, requiring surgery and a 5-month recovery period. The Giants selected Beal in the 3rd round of the 2018 Supplemental Draft. To fill that roster vacancy, the Giants re-signed cornerback Kenneth Durden, who the team waived on July 11th. The 6’1”, 180-pound Durden was originally signed as an undrafted rookie free agent by the Oakland Raiders after the 2016 NFL Draft. He spent his rookie season on the Raiders’ Practice Squad before being cut in September 2017. The Tennessee Titans then signed him to their Practice Squad and cut him in October 2017. The Giants signed Durden in June 2018. Durden has not played in a regular-season game. Not practicing on Sunday were defensive lineman R.J. McIntosh (unknown – Active/Non-Football Illness list) and tight end Garrett Dickerson (hamstring). Cornerback Donte Deayon left practice early with an apparent hamstring injury. Quarterback Eli Manning fired a pass between two defenders to tight end Evan Engram during 7-on-7 drills. Manning followed that up with a touchdown throw to wide receiver Odell Beckham, Jr. during 11-on-11 drills. Cornerback Donte Deayon had excellent coverage on wideout Amba Etta-Tawo and picked off a deep sideline pass from quarterback Davis Webb. Michael Thomas started at safety along with Landon Collins. Darian Thompson, Curtis Riley, and Andrew Adams have worked with the first-team with Collins on previous days. Cornerback Grant Haley came up aggressively to prevent running back Robert Martin from scoring in the red zone. Martin did show some nifty moves during practice today. Quarterback Kyle Lauletta threw a touch pass to tight end Rhett Ellison, who made the catch in the end zone for a score. Linebacker Alec Ogletree ran by left tackle Nate Solder to “sack” quarterback Eli Manning, whose subsequent pass to wide receiver Odell Beckham, Jr. was deflected by cornerback Eli Apple and intercepted by linebacker Olivier Vernon. (Apple was flagged for pass interference on the play). Running back Saquon Barkley caught a pass in the flat and badly juked out cornerback William Gay. Linebacker Mark Herzlich nearly sacked quarterback Davis Webb, who rolled out to his right and fired a 40-yard bomb downfield to wide receiver Kalif Raymond. Wide receiver Kalif Raymond beat safety Michael Thomas for a touchdown on a pass from quarterback Eli Manning. Quarterback Eli Manning and tight end Evan Engram continue to make plays together. Manning connected on another touchdown to Engram and also threw a nice touch pass over safety Landon Collins to Engram. 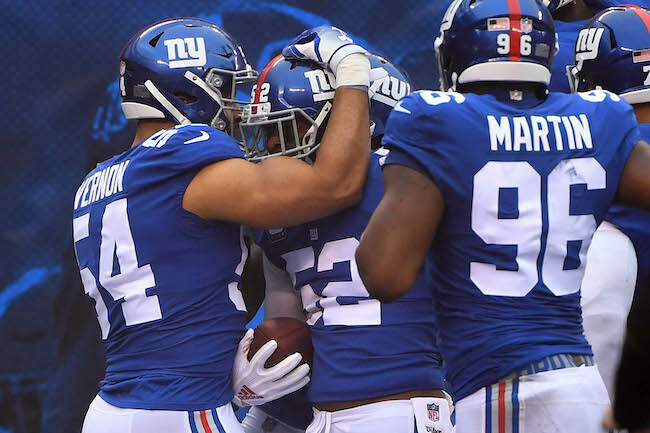 Running back Saquon Barkley stymied safety Landon Collins on a safety blitz, allowing quarterback Eli Manning to find wide receiver Sterling Shepard for a sizable gain against cornerback William Gay. Cornerback Eli Apple broke up a pass intended for wideout Travis Rudolph. Wideout Kalif Raymond stretched out to catch a pass from quarterback Davis Webb off of a rollout. Quarterback Eli Manning then found Raymond against cornerback William Gay. Linebacker Kareem Martin gave both Nate Solder and Ereck Flowers problems on a couple of plays. Flower also stonewalled Martin on one rush. Wide receiver Russell Shepard has quietly been making quite a few plays. Saquon Barkley, Cody Latimer, Wayne Gallman, Sterling Shepard, and Jawill Davis all worked as kickoff returners. 2017 YEAR IN REVIEW: As previously mentioned in our defensive line preview, one of the reasons why 2017 was such a huge disappointment was that a defense that was supposed to be the strength of the team fell from 10th in yards allowed in 2016 to 31st. Scoring defense fell from 2nd in 2016 to 27th. New York’s run defense was 27th in the NFL, allowing over 120 yards per game on average. Pass defense was 31st, allowing over 250 yards per game on average. The problems were across the board. The defensive line and secondary were supposed to very good. They weren’t. At best, the linebackers were supposed to be average. They weren’t even that. An entire generation of New York Giants fans has now grown up without witnessing a good linebacking corps on their team. Jessie Armstead and Antonio Pierce were anomalies during the last three decades. One would be hard-pressed to remember ANY plays made by Jonathan Casillas, Keenan Robinson, B.J. Goodson, Devon Kennard, Calvin Munson, and Kelvin Sheppard in 2017. Injuries were a major issue as Casillas, Robinson, and Goodson missed a ton of games. ADDITIONS/SUBTRACTIONS: There was a much-needed house-cleaning. Of the 13 linebackers currently on the roster, only four played with the team at that position in 2017 (B.J. Goodson, Calvin Munson, Mark Herzlich, and Ray-Ray Armstrong). And re-signing Herzlich was somewhat surprising. The Giants showed zero interest in re-signing former starters Jonathan Casillas, Keenan Robinson, and Kelvin Sheppard. It’s quite telling that all three STILL remain unemployed. The Giants also did not attempt to re-sign Akeem Ayers, Curtis Grant, and Deontae Skinner, who remain unsigned as well. Devon Kennard signed with the Detroit Lions. The Giants traded away 4th and 6th round picks to the Rams for Alec Ogletree. The team’s first major signing in free agency was Kareem Martin from the Cardinals. Lorenzo Carter was drafted in the 3rd round of the 2018 NFL Draft. The team also signed street free agent Thurston Armbrister and rookie free agent Tae Davis. And by transitioning to the 3-4 defense, the Giants have now shifted their best pass rusher – Olivier Vernon – from defensive end to linebacker. Defensive ends Avery Moss, Romeo Okwara, and Jordan Williams are also now at linebacker. 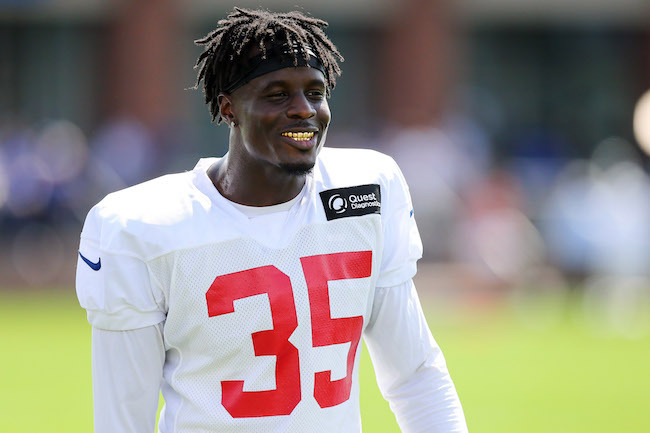 TRAINING CAMP STORY LINES: After a quarter of a century of playing in the 4-3 defense, the New York Giants are shifting back to the 3-4. 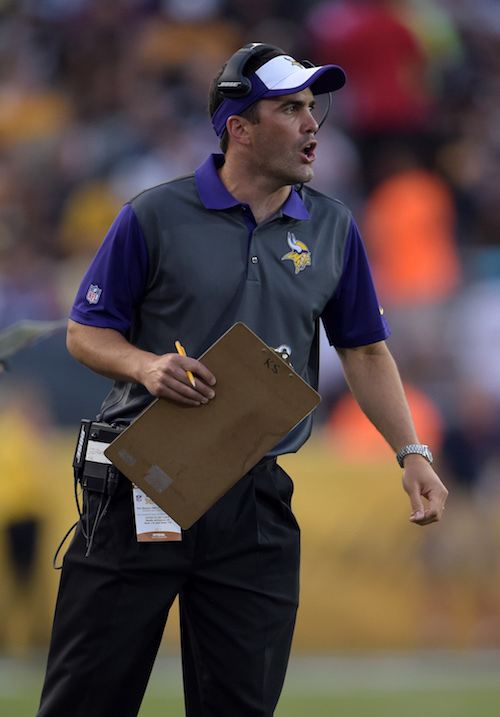 There is now an emphasis on acquiring linebackers as well as a new type of linebacker. It is no coincidence that Dave Gettleman traded away two picks for a linebacker. Or that Kareem Martin was the first player signed in free agency. Or that the Giants drafted Lorenzo Carter in the 3rd round (and tried to trade up into the 2nd round to draft him). In addition, the shift to the 3-4 led the Giants to trading away Jason Pierre-Paul and moving Oliver Vernon to outside linebacker. This defense is now predicated on the linebackers being the play makers. This is foreign territory for an entire generation of Giants fans. In 2018, the team’s leading sacker should be a linebacker. Linebackers are now expected to lead the team in tackles for losses and impact plays. Mark my words, it is only now a matter of time before the Giants draft a linebacker in the 1st round, something they haven’t done since 1984. Perhaps the biggest issue on defense is the successful transition of Oliver Vernon from defensive end to linebacker. For this defense to be effective, Vernon has to become the team’s best pass rusher from the outside linebacker spot. While he will mostly be moving forward, and at times will be shifted to defensive end in some pass-rush packages, he needs to be able handle playing in space or opposing teams will target him. Vernon has some experience in this role from his days with the Miami Dolphins, but this is a big adjustment. Vernon also has to stay healthy, something he hasn’t been able to do since joining the Giants in 2016. 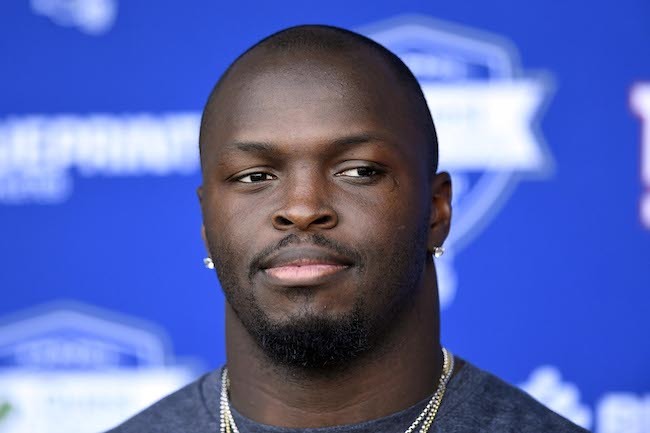 There are some people who feel Alec Ogletree is best suited for outside linebacker, but he has already been designated as the defense’s leader from one of the inside linebacker spots. A mobile athlete, Ogletree will be complemented by the more physical thumper B.J. Goodson right next to him. Ogletree could thrive with 1,000 pounds of defensive linemen in front of him. Goodson needs to stay healthy and improve his pass coverage. Flying under the radar is Kareem Martin, whose overall stats in Arizona were unimpressive. But James Bettcher loves the former defensive end and thinks he is just scratching the surface of his ability as a linebacker. Regardless, he could be pressed by Lorenzo Carter, who has rare athletic ability. Long story short… the linebackers are back baby! ON THE BUBBLE: There is a decent chance that the Giants will now carry as many as eight linebackers. Barring the unforeseen, Olivier Vernon, Alec Ogletree, B.J. Goodson, Kareem Martin, and Lorenzo Carter make the team, leaving probably two or three spots for Romeo Okwara, Avery Moss, Jordan Williams, Mark Herzlich, Calvin Munson, Ray-Ray Armstrong, Thurston Armbrister, and Tae Davis. PREDICTIONS: While this is going to be more of a hybrid defense than pure, old-fashioned 3-4, this is still going to be a bit of a culture shock for any fan under 40 years old. Linebackers setting the edge, getting into the backfield, creating turnovers, sacking the quarterback. Linebackers actually making plays! If everyone can stay healthy (ahem Vernon and Goodson), on paper, this looks like a potentially strong group. The two inside linebackers complement each other well. Olivier Vernon is no LT, but he will be expected to take on that type of pass-rush role while Kareem Martin does more of the dirty work (à la Carl Banks). Both will also be employed from the down position quite a bit. The wild card is Lorenzo Carter who I am willing to bet will press for pass rush snaps fairly early, either from a standup or down position. 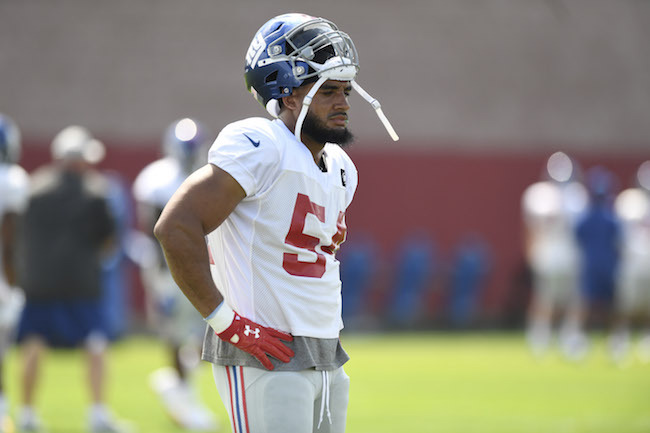 FINAL DEPTH CHART: Olivier Vernon, Alec Ogletree, B.J. Goodson, Kareem Martin, and Lorenzo Carter are the obvious ones to make it. Avery Moss looks the part of a 3-4 pass-rush linebacker, but missed the spring rehabbing an injury. Word has it that Romeo Okwara looked pretty good in the spring workouts. Is there room for both? Finding depth inside could be a challenge. The leading candidates are Calvin Munson, Ray-Ray Armstrong, and possibly even Mark Herzlich. A waiver-wire pick-up here might be in the cards. Special teams ability will be key for anyone looking to make the final 53. 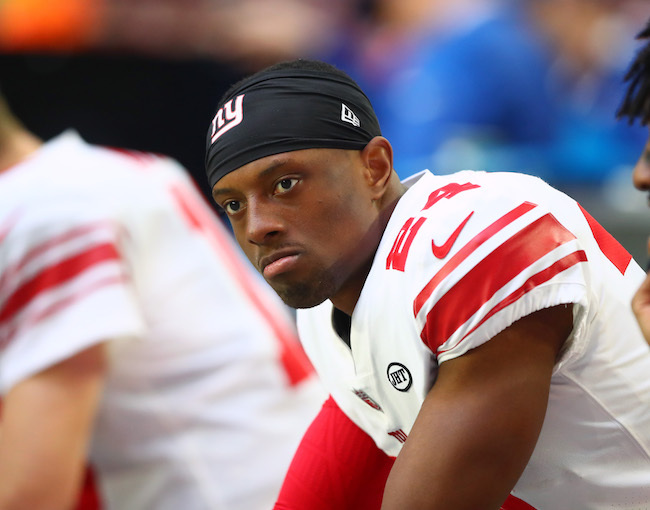 The New York Giants announced Wednesday afternoon that they have suspended cornerback Eli Apple for the final week of the team’s season, including the season finale against the Washington Redskins on Sunday. Apple’s season is officially over. “We have suspended Eli for a pattern of behavior that is conduct detrimental to the team,” said Interim General Manager Kevin Abrams. Apple, the 10th pick in the 2016 NFL Draft, has had a troubled year both off the field (family issues and conflict with teammates) and on the field (injuries and being benched by the Giants). Eli Apple’s suspension today was due in part to his refusal to take the field with the scout team, source says. @RapSheet says he then got into it with a coach. The New York Giants have placed linebacker B.J. Goodson on Injured Reserve with a high ankle sprain that has nagged him much of the season. Goodson missed two games in September with a shin injury, returned to the starting lineup in October, but then missed six of his next eight games with the ankle issue. In all, Goodson started seven games and finished 2017 with 53 tackles, two pass defenses, and one forced fumble. To fill that roster vacancy, the team signed wide receiver Marquis Bundy from the Practice Squad. The 6’4”, 215-pound Bundy was originally signed as a rookie free agent by the Arizona Cardinals after the 2016 NFL Draft. The Cardinals waived him in August 2017 and the Giants then signed him. The Giants have also signed wide receiver Canaan Severin and defensive lineman Kristjan Sokoli to the Practice Squad. The Giants signed the 6’2”, 205-pound Severin in August 2017 and waived him before the season started in September. Severin was originally signed by the Pittsburgh Steelers as an undrafted rookie free agent after the 2016 NFL Draft. He spent his rookie season on Injured Reserve with a shoulder injury. The Steelers waived him in August 2017. Sokoli was originally drafted in the 6th round of the 2015 NFL Draft by the Seattle Seahawks. The 6’5”, 300-pound Sokoli has spent time with the Seahawks (2015), Indianapolis Colts (2016), and New Orleans Saints (2017). The Albanian-born player has played both on the offensive and defensive lines. With one game left in the 2017 regular season, Davis Webb has replaced Geno Smith as Eli Manning’s primary back-up at quarterback. 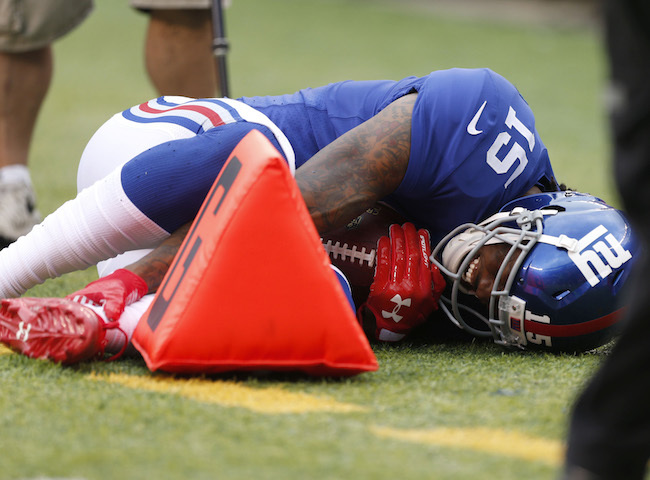 Wide receiver Sterling Shepard (neck0, wide receiver Tavarres King (concussion), tight end Evan Engram (rib), and defensive end Jason Pierre-Paul (finger) did not practice on Wednesday. 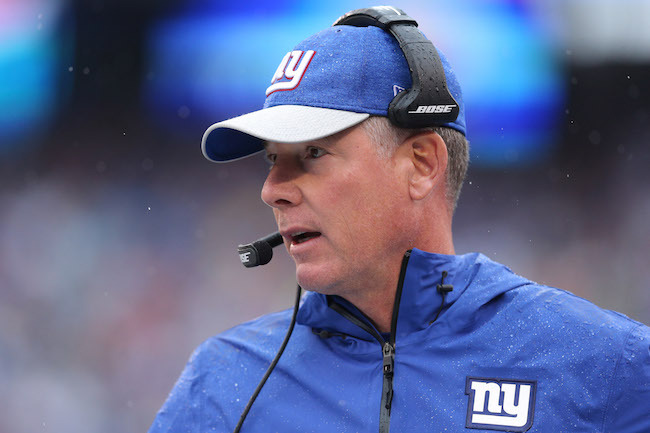 The transcript of Steve Spagnuolo’s press conference on Wednesday is available in The Corner Forum while the video is available at Giants.com. The New York Giants practice on Thursday at 11:35AM. Interim Head Coach Steve Spagnuolo, Offensive Coordinator Mike Sullivan, Special Teams Coordinator Tom Quinn, and select players will also address the media after practice.